Vlitz (Vlitz) added a comment to T62456: macOS ALT/OPTION + E bug. Blender "remembers" this, you can perform some action after Option-E and then when you try to enter the symbol it will convert. Is there a way for Blender to not "remember" this or have it reset like in other applications? Or is it something completely out of the developers' hands? I agree that it most likely is an issue with High Sierra. I went back to 2.79 to make sure I did exactly what I was doing in 2.80 and was able to replicate it (can never be too sure). Previously, I pressed F6 to bring up the edit window after doing ALT+E which subsequently was the first keystroke (an oversight on my end). This time I made sure to just click on any number field first before pressing anything and I was able to replicate the bug. This plus your testing on 10.14.2 leads me to think the bug is contained within High Sierra. Vlitz (Vlitz) updated the task description for T62456: macOS ALT/OPTION + E bug. If it was the OS version or language overriding OPTION-E, then shouldn't this bug be replicated in Blender 2.79? As I've previously noted, I cannot replicate it in 2.79--OPTION+E behaves the way it should. I've only run across this issue within the latest 2.80 beta versions. I've also checked the language/keyboard input settings and they are all at the default settings. No settings have been tampered with or changed. At this point, I'm not sure what other information I can provide that will shed light to this bug. Vlitz (Vlitz) renamed T62456: macOS ALT/OPTION + E bug from Blender registering the first keystroke as an apostrophe in the numberfield of the edit window (specifically after using ALT+E) to macOS ALT/OPTION + E bug. This makes a whole lot more sense. Thank you for pointing it out. Renaming task to reflect the bug more accurately. Vlitz (Vlitz) renamed T62456: macOS ALT/OPTION + E bug from Alt + E extrude apostrophe bug to Blender registering the first keystroke as an apostrophe in the numberfield of the edit window (specifically after using ALT+E). It only occurs within the number field of the edit window from ALT + E specifically. Scaling, moving, extruding using E, and CTRL + B bevel seem to not have the bug. That's why I included the ALT + E extrude in the title. But I will rename it so it reflects the bug more clearly. I've tested again disabling all addons and using the latest fresh installation (though, I thought Load Factory Setting achieved that). The bug is still there. I did further testing and discovered the apostrophe bug occurs when you enter anything (letters, numbers, or special characters). For example, blender registers holding Shift + 1 to enter an exclamation point as an apostrophe. Tested and the bug still persists. I took a look at the terminal output this time to see if it might shed any light. I am getting this line ui_do_but_textedit: utf8 char '´' the moment I try to enter the number for the first time. Not sure what it means. I've attached the terminal output. I've also updated the example video, this time it has a screen cast add-on that shows what I'm pressing/clicking. (However, it seems the add-on doesn't capture when I enter a number in the number field within the edit window.) I am attempting to enter a 1, but when I do Blender registers it as an apostrophe. I double checked to see if it might be my keyboard or any other number key giving me an issue, but it is not. It also doesn't matter if the number is entered through the number keys above qwerty or the numpad. I thought I was pretty clear and concise when I said use the ALT + E extrude method then attempt to enter a number in the number field in the edit window that pops up in the bottom left corner. Added further instructions to clarify any confusion. Vlitz (Vlitz) created T62456: macOS ALT/OPTION + E bug. Vlitz (Vlitz) added a comment to T61573: annotation thickness doesn't work with 3D cursor option. Vlitz (Vlitz) renamed T61288: Edge colors (bevel, seam, crease, sharp, and etc.) not displaying properly from Edge colors (bevel, seam, crease, sharp) not displaying properly to Edge colors (bevel, seam, crease, sharp, and etc.) not displaying properly. Vlitz (Vlitz) created T61288: Edge colors (bevel, seam, crease, sharp, and etc.) not displaying properly. Vlitz (Vlitz) added a comment to T58731: Graphical glitch in Edit Mode: Vertices have hair-like extrusions (not to be confused with normals). Just writing an update: it seems this particular bug has been fixed with the Jan. 24th release (7f77961f1c38). Will update if the bug pops up (hopefully not). Vlitz (Vlitz) closed T58731: Graphical glitch in Edit Mode: Vertices have hair-like extrusions (not to be confused with normals) as Resolved. Warning: Pass : , Uniform 'viewportSize' not found! Warning: Pass : , Uniform 'edgeScale' not found! Vlitz (Vlitz) updated the task description for T58731: Graphical glitch in Edit Mode: Vertices have hair-like extrusions (not to be confused with normals). 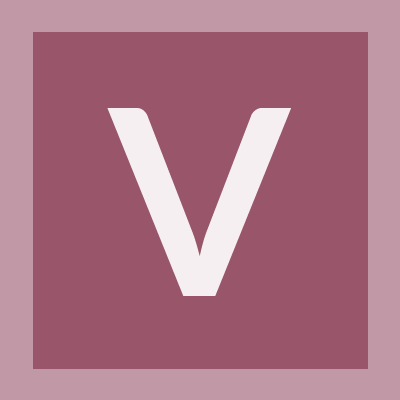 Vlitz (Vlitz) added a watcher for Platform: macOS: Vlitz (Vlitz). Vlitz (Vlitz) created T58731: Graphical glitch in Edit Mode: Vertices have hair-like extrusions (not to be confused with normals).